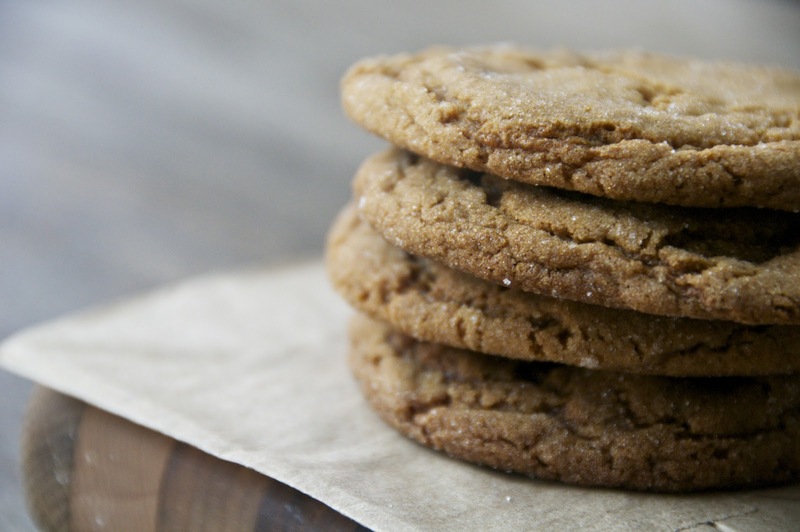 have you made gingerbread/molasses spice cookies yet? heyZEUS, what on earth are you doing??? they better be really important things. because we are days from christmas here. aren't we supposed to be churning out cookies like crazy cookie elves right now? and eating gingerbread-y things at the height of all this holiday spirit...it's important. 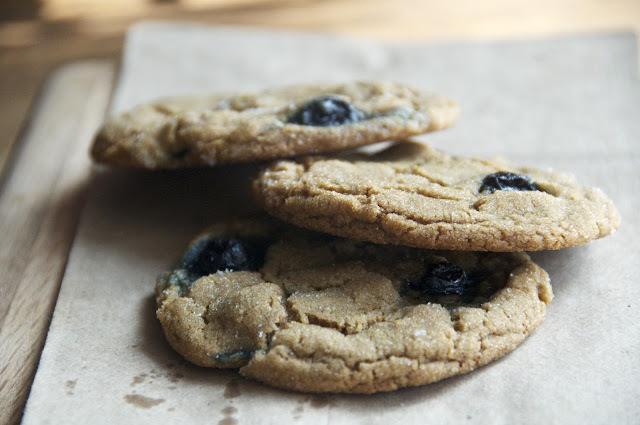 here are some molasses spice crinkles with fresh blueberries. 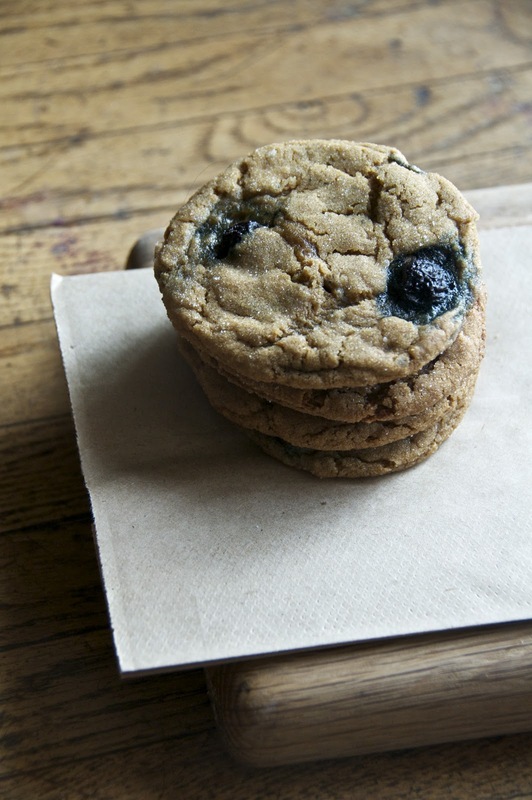 you don't have to put blueberries in them if you don't want to. 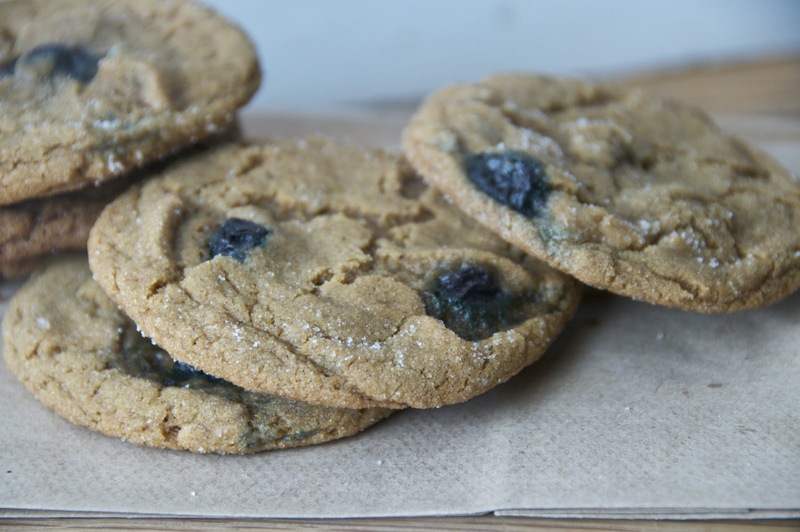 but i totally endorse the blueberry addage. just, whatever you do, make them and love them. preheat oven to 375. sift flour, baking soda, salt, and spices together in a bowl an set aside. beat the butter 2 minutes. add the brown sugar, and 1/2 cup granulated sugar and beat. add egg, vanilla, and molasses. gradually add in dry ingredients. fold in the blueberries. scoop rounded tablespoons and roll in sugar. place on baking sheet and bake for 11-13 minutes. let cool a few minutes on sheet and then transfer to wire rack. 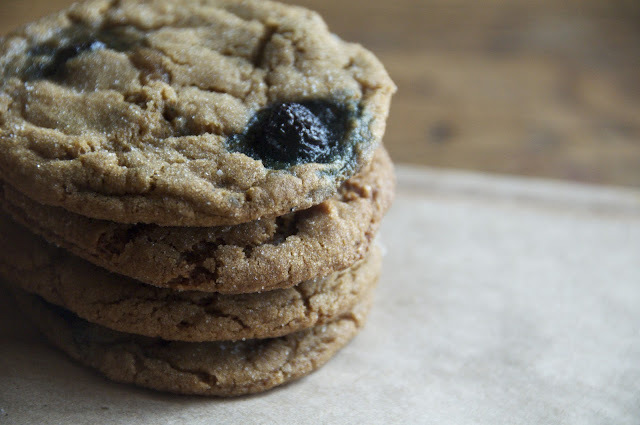 What quantity blueberries do you recommend for a batch of these cookies? oh wow what a space case i am. thank you for this! i'd say start with 1/2 a cup, i'll add this in right now! I've made gingerbread muffins...does that count? But seriously I need to jump on this ginger cookie bandwagon. And I love the blueberry addition...so out-of-the-box awesome. that doesn't sound like a word anymore.